In the Garden, mixed media, by StewART studios. Obadiah Hunter, oil paintings at the Garden Gate. Arts! Arcata is Arcata Main Street's monthly celebration of visual and performing arts, held at locations in Arcata. 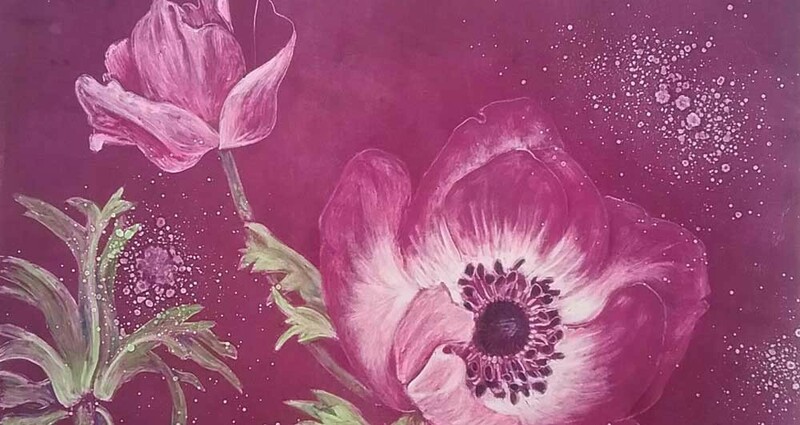 Visit www.arcatamainstreet.com, Arts! Arcata on Facebook, or call 707-822-4500 for more information. ARCATA ARTISANS 833 H. St. Kris Patzlaff, jewelry; George Bucquet, Hot cast glass; Wine pour benefits Breast and GYN Health project. ARCATA EXCHANGE 813 H. St. Tony Gonsalves, photography; Music by Lizzy and the Moonbeams; Wine pour benefits Arcata House Partnership. ALCHEMY DISTILLERY 330 South G Street. Featuring hand blown glass from Mirador Glass. Complimentary tastes and cocktails available for purchase for those 21 + with ID. BELLE STAR 863 H. St. Music by the Attics. BUBBLES 1031 H St. Music by Kentucky Warblers. CAFÉ BRIO 791 G. St. Mimi La Plant, acrylic paint; Music by Tim Randles RLA Trio; Wine and food available for purchase. HUMBOLDT JIU JITSU 1041 F St. "SKULLface Project", Matt O'Brien, graphic design. Music by DJ Selectah Positive I-Diaz. 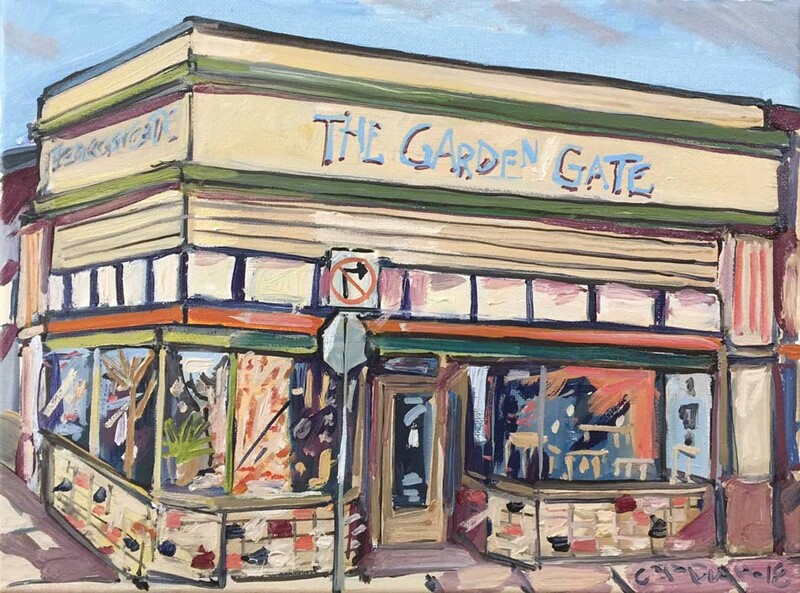 THE GARDEN GATE 905 H. St. Obadiah Hunter, oil paint: Music by Kenny Ray and the Mighty Rovers; Wine pour benefits Northcoast Environmental Center. JACOBY STOREHOUSE 791 Eighth St.
PLAZA GRILL (3rd floor): Jeff Stanley, acrylic on canvas and panel. 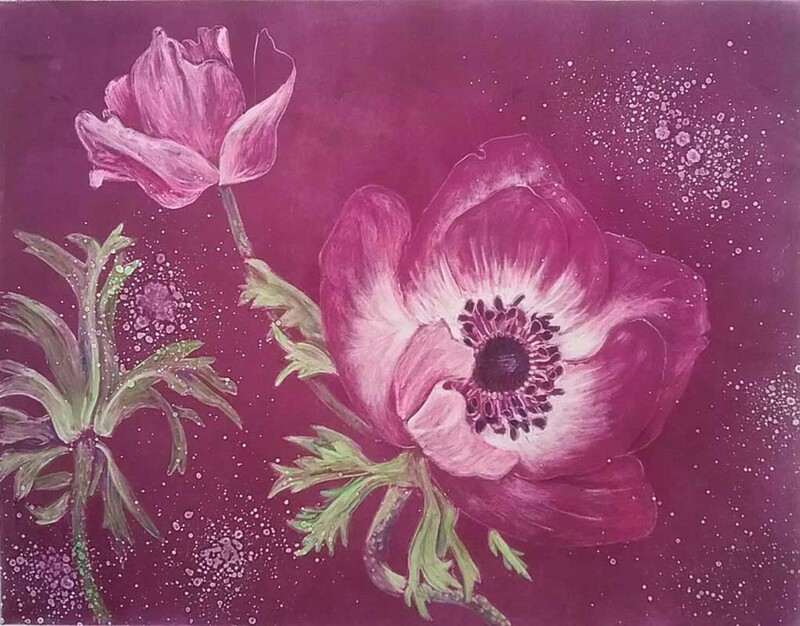 Jay Brown Art and Design (Plaza Level Suite 5): "Spring Eternal," gouache, acrylic ink, color pencil, fibre tip pen on D'Arches buff printmaking paper. Recent works and works in progress on display. Artist be will in studio to discuss his work. GAZEBO (Plaza Level): Tony Gonslaves, bird carving demonstration and sales. MOONRISE HERBS 826 G St. Gigi Floyd, beeswax collages; Music by Chelsea and Eric; Wine pour benefits Arcata Rotary Club. 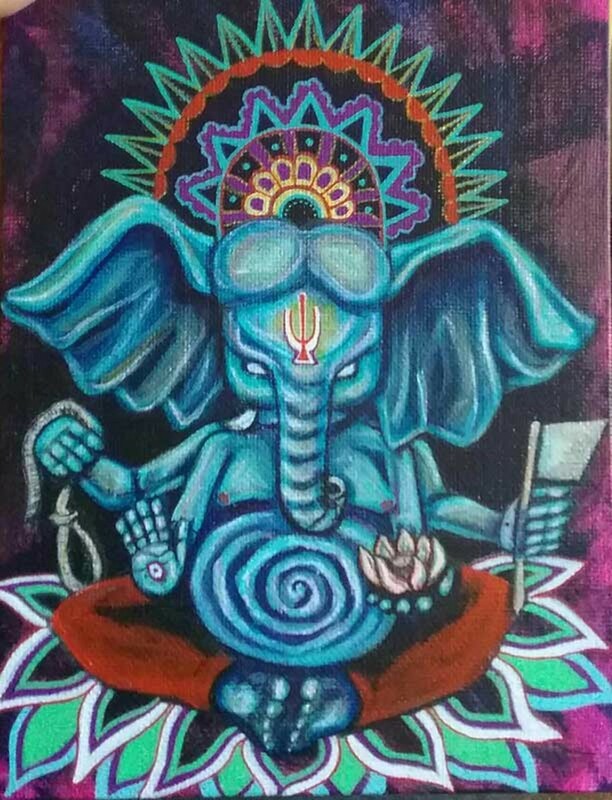 OM SHALA YOGA STUDIO 858 10th St. Tiesha Cooper, acrylic paint. 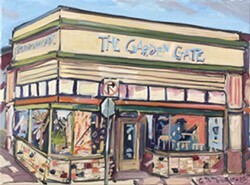 PLAZA 808 G. St. "In the Garden," mixed media, by StewART studios. Wine pour benefits Open Studios. THE PRANCING PONY 1075 K. St. Artwork, local artisans. Also, paint rocks at art night. All supplies provided. SACRED EMPIRE 853 H. St. Mollie Musick of Surreal Stitching, crochet fashion art. Music by Al Luv US. SANCTUARY 1301 J. St. Collection of local artists, "Future Formers: A Visual Art Exhibition of College of Redwoods Alumni," mixed media; Music by Sung Mountains; Wine pour benefits Creative Sanctuary. STOKES, HAMER, KAUFMAN & KIRK, LLP 381 Bayside Road Artwork by Patricia Rose, acrylic abstracts, and Hans Spek, still life and landscapes in oil. Music by Wynsome Winds. TIN CAN MAILMAN 1000 H. St. Harley Stendel, glass marbles and inventions. Music by Travis Farwell. WRANGLETOWN 1350 Ninth St. Book reading and signing of Peter Jain's children's picture book illustrated by his elementary students. Live music and snacks. ZEN 1091 H. St. Essence of Humboldt, jewelry.